SHINE Clinic has re-opened as of JANUARY 26, 2019, in the Metis Capital Renaissance Tower! 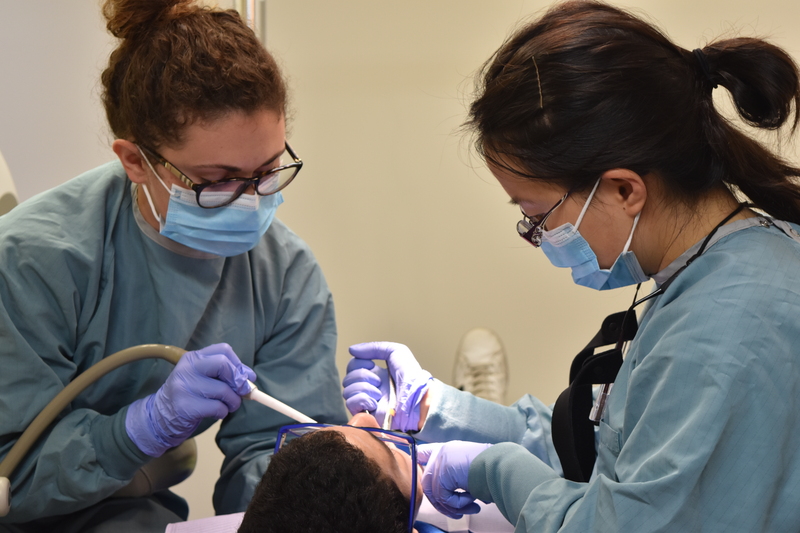 The SHINE (Student Health Initiative for the Needs of Edmonton) Dental Clinic is a student run organization established through the University of Alberta and the Faculty of Medicine and Dentistry. Based out of the Boyle McCauley Dental Clinic, our organization provides dental care for youth in need at no cost to our patients. Thank you to the DDS 2019s Suraj Chavda, Navi Bharj, Dharminder Panesar, and Shahed Bayestehtarat for creating this video to thank our generous sponsors and highlight why the students love coming to SHINE! IMPORTANT: The SHINE clinic RE-OPENED January 26th, 2019 in the new Boyle McCauley Health Centre Dental Clinic located in the Metis Capital Renaissance Tower. This new clinic space will allow us to increase from 4 to 8 operatories, allowing for more than 900 new patients! We prioritize youth and try to triage patients based on their needs, but for the most part the SHINE clinic is run on a first come-first serve basis. The clinic opens at 08:30 on Saturday, but those patients who want to increase their chances of being treated may choose to line up early as space is limited. Please note: the goal of SHINE dentistry is to operate every Saturday during the school year. However, the SHINE dentistry clinic depends entirely on the support of our volunteers and as such, we cannot guarantee the clinic will be open every Saturday. Please check our calendar before planning to come in to confirm we will be open!